Oatmeal topped with homemade apple butter, cinnamon and low fat granola. I love starting my morning with a bowl of oatmeal, it’s heart healthy comfort food in a bowl. I eat a lot of oatmeal because high cholesterol runs in the family and oatmeal is known for reducing cholesterol. In addition, it’s high in fiber, a perfect way to fuel my morning. My perfect bowl of oatmeal is all about the toppings. I love to add a combination of flavors and textures such as dried fruit, granola, nuts, cinnamon, or whatever I’m in the mood for that day. I also like to switch things up because I’m not the type of person to eat the same thing every day, so it may be pumpkin spiced oatmeal one morning, brown sugar and walnuts the next. When I’m not enjoying my oatmeal hot, I usually make avena, which is a delicious oatmeal smoothie, an easy on-the-go breakfast. I’m thinking a cinnamon spiced apple avena may be tomorrow’s breakfast! Or what about no-cook pumpkin overnight oats in a jar… yum. Do you have a favorite oatmeal combination? Do tell! Cook oatmeal in water according to package directions. 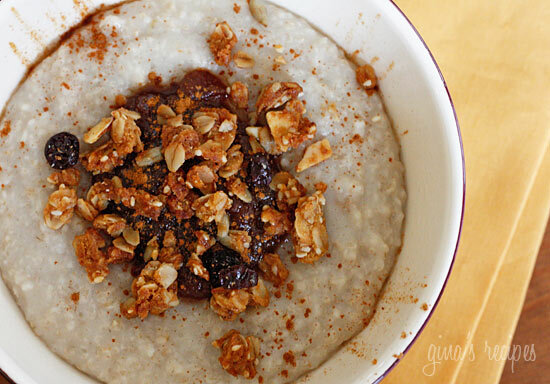 Pour cooked oatmeal in a bowl and top with apple butter, granola, cinnamon. You can add a little skim milk if you like your oatmeal thinner. Can this be converted to an overnight oatmeal in a jar? could I just add milk and all the ingredients minus the granola? I haven’t tried, but don’t see why not. Let me know if you try it! Do you have a low fat granola recipe or is there a brand you recommend? 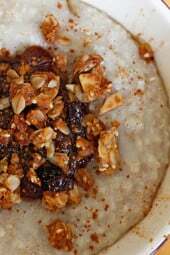 Can you make a savory oatmeal recipe? 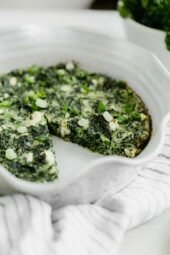 This looks really great 🙂 I love how simple the recipe is also! Was fabulous! Was able to be here for the full festival, wonderful workshops and shows in a lovely and passionate town. Ole! I am sad about all of the ads. Your beautiful pictures are smaller. 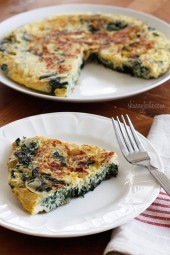 I love your recipes and I am making this today. Thanks so much. Gina – Did you ever post your Granola recipe? We're having this in the morning and I can't wait! I love finding new oatmeal combos! Lately I've found my favorite combination is oatmeal with a packet of splenda mixed in, topped with fresh papaya and sliced almonds. Delicious! Oatmeal is outrageously good, I have to agree! I think I could eat it for 3 meals a day with all the variations out there. I definitely have to try adding apple butter now! Since reading something on Hungry Girl – this is my favorite way to eat oatmeal because the bowl is huge. boil water and almond breeze til boiling. Add oatmeal and cook about 10 mins. I add splenda and a little pumpkin pie spice or whatever flavored coffee creamer I have available. For a special treat, make overnight oatmeal brulée topped with fresh berries. I also like adding mashed banana, peanut butter, and walnuts to my oatmeal. Very satifying and no in between meal hunger pains, yay. Love the satisfying feeling from protein, fruit and carbs all in one dish. I make it, I will try to post the recipe soon. Hmmm.. cinnamon! That should be perfect with oatmeal. 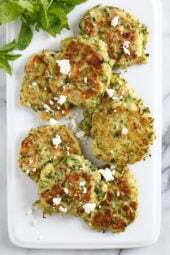 Hi Gina, I found your site a couple of weeks ago and your recipes have made staying on plan soooo much easier for me. Thank you!!! I personally love steel cut oats, I like the chewier texture of it. I like mixing it with applesauce, cinnamon and a little bit of raisins or dried cranberries. I will definitely be trying your apple butter recipe. Looks delicious! I have oats with chocolate pb and sometimes pecans or add apple or banana. I love putting coconut and peanut butter in my oatmeal. So tasty! My mom is Colombian, in Colombia they call it Avena. They even sell oatmeal in a powdered form which is hard to find here but great for mixing into your milk. Avena means oatmeal in Spanish. A "liquado de avena" would be an oatmeal smoothie. Just a bit of info I thought you might enjoy! I love cooking oatmeal with canned pumpkin and adding some pumpkin pie spice and cinnamon! You can't beat a sweet bowl of oatmeal for the perfect breakfast. Love the toppings you've used here! I love all these combinations, the blueberries sound delicious. Cheryl, I love oatmeal soup, so I too like my oatmeal savory. Thanks! As the oatmeal begins cooking I immediately put about 1/2 to 3/4 cup of frozen blueberries in the empty cereal bowl. Then pour the finished hot oatmeal into the bowl and stir. In about a minute the frozen berries warm up and perfectly cools down the hot oatmeal. The blueberries have a wonderful texture not mushy too. The sweet blueberries are plenty, therefore no added sweetner. Oatmeal and blueberries are superfoods so I know my day is off to a good start! What is your favorite low fat granola? Or do you have a recipe? I'm always trying to find a low fat, low calorie granola. I love savory oatmeal (I'm not big on most sweet dishes) and my favorite addition is some chopped up tomato. I usually cook my oatmeal in broth rather than water or milk. This dish is very simple to prepare.It tastes really good!Thanks for sharing. This sounds so amazing!! I can't wait to give this a shot! I do love apple and cinnamon in my oast but hands down my favorite is pineapple and nutella! Oh my is it good!!! Perfect for yogurt! Or ice cream. 🙂 Honey, cinnamon, orange zest and raisins always taste great in oatmeal. Alex, I'm so happy you love everything, but even happier that your family doesn't notice they are eating low fat, low point meals! Food For Every Season, it's good! Add's a little crunch. Elpi, oranges, now that's different, but why not. Thanks for sharing. Trudie- yum! I never had pineapple in my oatmeat, that's different! I'm kind of weird, but I do put oranges on top of my oatmeal. 😀 It tastes really good! yum! avena! i love my oatmeal with apples. granola in my oatmeal… never thought of that. will HAVE to try it. always have granola in the house. Just a note to say that I love your blog. I have made many recipes from here and LOVE all of them. My family does not notice they are low points. Thank you so much. This looks delicious…I can't wait to try it! What a delicious, healthy, and beautiful fall breakfast! I love all the ingredients in here! This oatmeal looks really simple and healthy too. Yummy! This is a little unconventional, but my favorite oatmeal mix in! Add 1/3 cup of crushed pineapple and a handful of crushed almonds to your already cooked oatmeal. It's delightful! I hate oatmeal flavored, the kind you get in a package. This is so much better. Why can't people just make this all the time? So much healthier too. You're inspiring! I make a banana foster style oatmeal that's so yummy! I add half of a chopped banana, tbsp of chopped pecans or walnuts and drizzle sugar-free caramel sauce. I haven't tried oatmeal smoothies-thanks for the link!